COMMENT | Scores of Uyghur Muslims in Malaysia have forcibly been put on the plane and returned to China during the previous administration of Najib Abdul Razak. Thankfully, under the new administration, Malaysia has not resorted to such measure, as innocent men and women, can potentially be sent to an almost certain death and persecution. Latest reports from Reuters, quoting Human Rights Watch in Hong Kong and based on the interviews gathered from one Maya Wang in Hong Kong, are showing severe signs of massive victimisation of the Uyghur Muslims. Although the interviews were done with 45 Uyghur Muslims who have fled China, their accounts sound eerily similar – heavy surveillance of all Muslims in China, especially in Xinjiang (otherwise known as Urumqi), where close to one million live in concentration camp-like conditions. 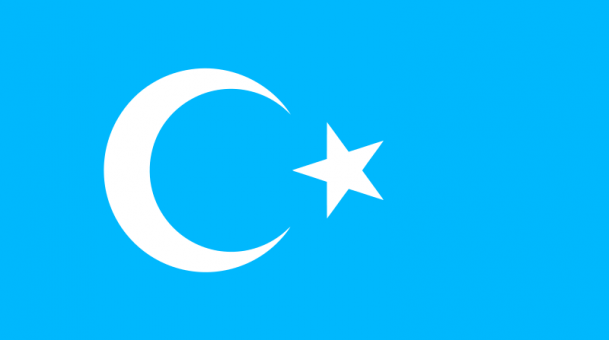 Uyghur, Han, Kazakh and other Hui Muslims in China are forced to repeat the slogans of the Communist Party, put into solitary confinement, even forced to abandon their prayers – all on the flawed premise of making them better Chinese citizens. Such programmes are also masqueraded as training modules to make them vocationally employable. Indeed, research published by Foreign Policy has clearly shown that Xinjiang (Urumqi) is currently going through a period of a serious security crackdown. 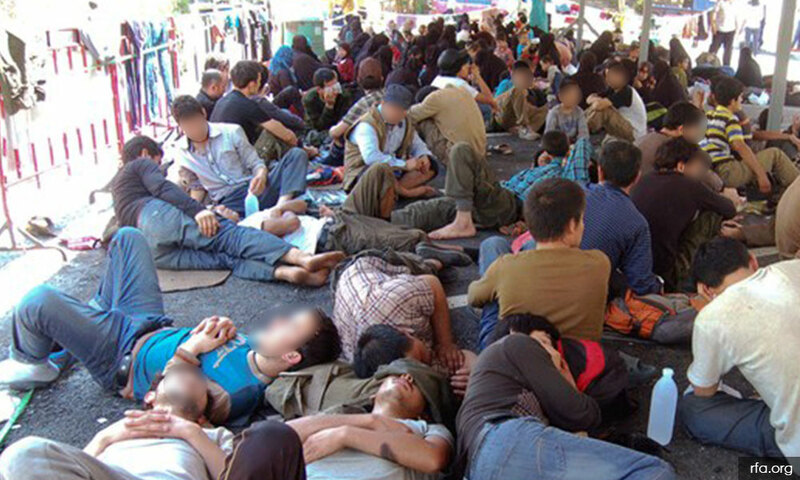 As many as one million Uyghur Muslims are under systematic surveillance in detention camps, and placed behind electronic bars, where they cannot venture freely without being called to account for their every activity. At this rate, the likelihood of the Uyghur and Hui, even Han Muslims, being subjected to all round persecution due to their Islamic beliefs, are all but too real. Some authors have argued, not without basis, that the security state of China is bent on subjecting the Uyghurs and all Muslims in China almost to the same scrutiny the Jews and leftists in Germany had collectively faced during World War II. We all know what happened in that pogrom. Close to six million Jews, Serbs, Croats, and many more were killed. Malaysia does not have to accept any Uyghur separatist calls by Uyghurs or Muslims. Malaysia does not want China to break up into ramparts. But the failure to protect innocent Muslims from a fate of certain death, or torture, when they are repatriated back to China, speaks volumes of the indifference to the plight of these Muslims. In fact, James Dorsey, a columnist at South China Morning Post, has found the previous administration of Malaysia not batting an eyelid when packing the Uyghur Muslims back to mainland China. Whether it is 11 hapless Uyghur Muslims being sent back to China, or part of the 200 Uyghur Muslims who escaped from prison in Thailand last October 2017, the logic stands that China is on a blanket security crackdown of all Muslims in Xinjiang, if not further afield in Xi An or Guangzhou as well. Why should Malaysia, a predominantly Muslim country, be complicit in sending Uyghur Muslims – with or without suspected ties to Islamic State – to an authoritarian regime? If the former deputy prime minister Ahmad Zahid Hamidi, who was then the home affairs minister as well up until April 2018, was being truthful, Malaysia has one of the most exceptional de-radicalisation programmes in the world, where the success rate is 97 percent and above. Thus, if the Uyghur Muslims are suspected to be elements of the Islamic State, wouldn’t it make sense to de-radicalise them in Malaysia first? Indeed, Umno and PAS only seem to be keen on a rally when the city of Baitul Maqadis is handed back to the Zionist regime of Israel. They also make a huge outcry of the mistreatment of the Rohingya Muslims in Myanmar. Yet, to this day, and despite being a Malaysian opposition, they remain silent on everything that affects Islam and Muslims in China. Nor have they spoken out against the policy of Saudi Arabia, Egypt, United Arab Emirates and Bahrain in persecuting Muslim Brotherhood too. Be that as it may, the situation in Xinjiang is both grave and bad. Even Turkey has spoken up against China. Indeed, every knife belonging to a Muslim household in Xinjiang has to be registered with the Ministry of Public Security in China. And, if the knives were stolen or used in any act of violence, the owners would be affected too, even if they were not culpable. QR Codes are used to scan the houses of the Muslims to see if the right occupants are remaining in their houses. Such a policy of mass discrimination is based on a vindictive attitude to Muslims and Islamophobia. If China does not measure up on the simplest human rights respect, not even the rights established by the Universal Declaration of Human Rights in 1948, then how can Beijing be trusted to work with Malaysia on a win-win basis at all time? The Malaysian opposition of PAS and Umno may cast a blind eye to the plight of Uyghur Muslims in China and others in Xinjiang. But Pakatan Harapan should not be so heartless to leave these Uyghur Muslims at the mercy and disposal of the Chinese state all the time. Harapan must stand up and speak out, as this article is intent on doing. There are elements in Chinese leadership or academia, whom Harapan is certain, do not agree with a blunt anti-Islam and anti-Muslim policy too. The scholarship of Professor Pan Guang, once an advisor to the State Council in China, is a testament to that. Although retired, Professor Pan knows Islam has had a long history in China, preceding even the history of Islam in Malaysia by some 700 years. In fact, one of the friends of Prophet Muhammad SAAS was known to have made his way into China in the mid-7th Century. Saad Ibn Bin Waqas is often accredited as the first Muslim luminary to bring Islam to China. Many Muslims served with Kublai Khan during the 12th Century, and Admiral Zheng He, who made the famous voyage to Malacca in the 15th Century, was himself a Muslim. Being friendly to China is a must, as China is a close neighbour of Malaysia. But it is also on this point that geographical proximity cannot be taken advantage by China to ride roughshod over everything that Malaysia holds dear, such as Islam, democracy, freedom of worship and deep respect for every country’s sovereignty. But such values do not, and cannot, include looking the other way when China is astray. On its mistreatment of Muslims in Xinjiang almost en masse, Malaysia must speak up, and defend the most basic human rights of all. If neither Zahid Hamidi nor Hadi Awang is listening to the cries of the Uyghur Muslims, then one should discount their rhetoric of loving Islam wholesale. One might then call a spade a spade and identify their unholy alliance as abject hypocrisy. Indeed, it is now incumbent on Malaysia to call for an Organisation of Islamic Cooperation (OIC) Fact Finding Mission in Xinjiang, China. If the reports of Amnesty International, Human Rights Watch, and various reporters on the deplorable state of Uyghur and other Chinese Muslims are deemed to be true, then Umno and PAS are obliged to speak up in unison with the government of Pakatan Harapan. Under this Harapan government, Malaysia must demand that the United Nations looks into the issue with immediate urgency, without which Harapan would have failed to uphold the basic rule of law, not just nationally or regionally, but internationally too. RAIS HUSSIN is a supreme council member of Parti Pribumi Bersatu Malaysia (Bersatu). He also heads the party’s Policy and Strategy Bureau.